Specify the Telnet/SSH server connection settings. By default, the program will only connect to the server and authenticate. 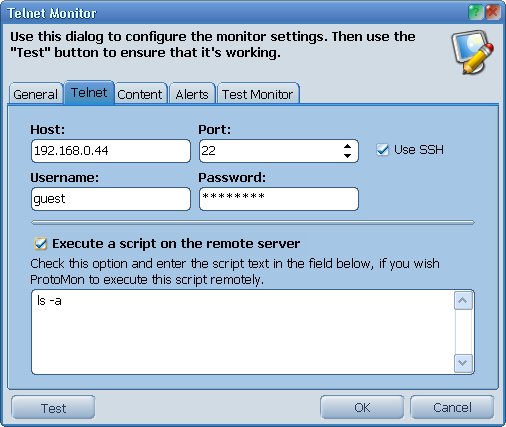 Optionally, you can tell ProtoMon to Execute a script on the remote server on every check.